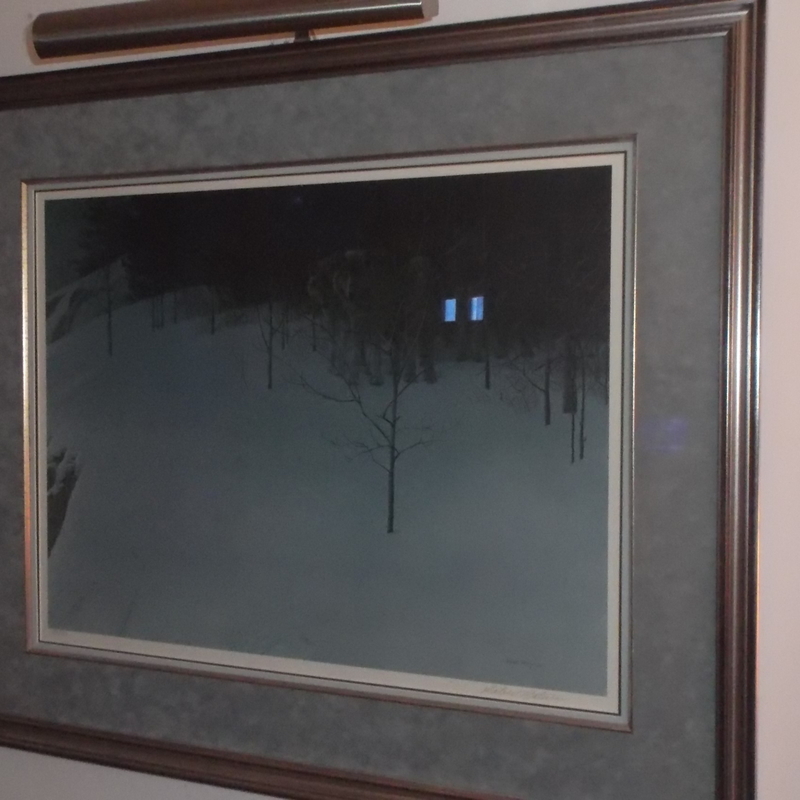 Robert Bateman "Clear night" wolf print. approximately 20"x 26" picture area. It is professionally mated and framed w/ a mounted top light to illuminate the image. frame size, 31"x 38".